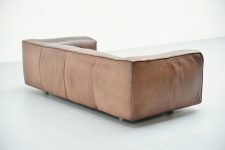 Very nice low lounge sofa designed by Gerard van den Berg for Montis, Holland 1970. 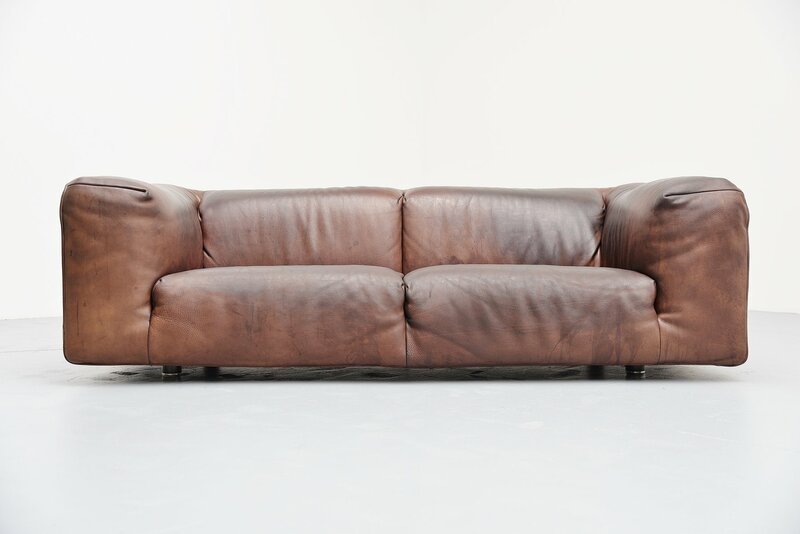 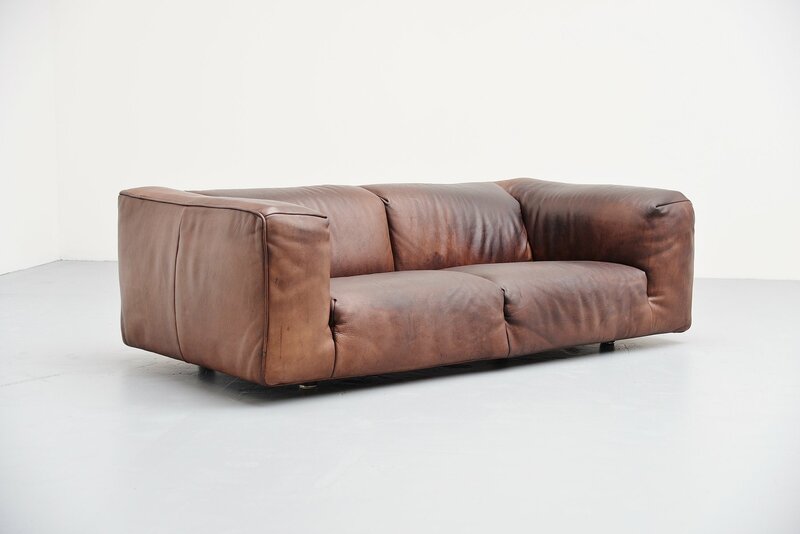 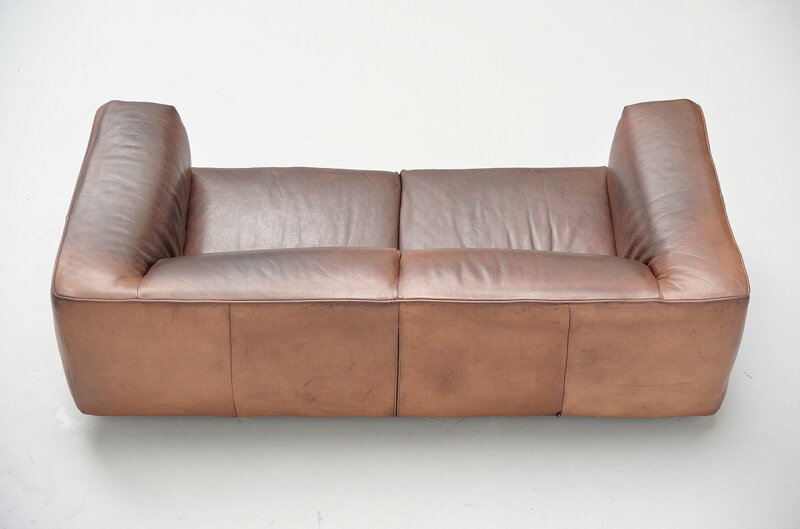 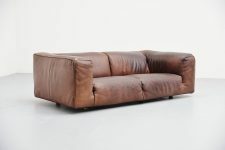 This quality leather sofa is made of dark brown buffalo leather and preserves a very nice patina from age and usage. 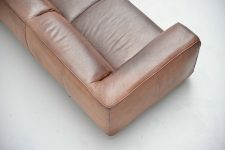 It has a nice shape and seats very comfortable. 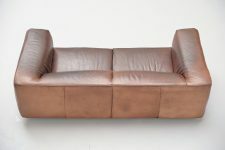 It is very low though. 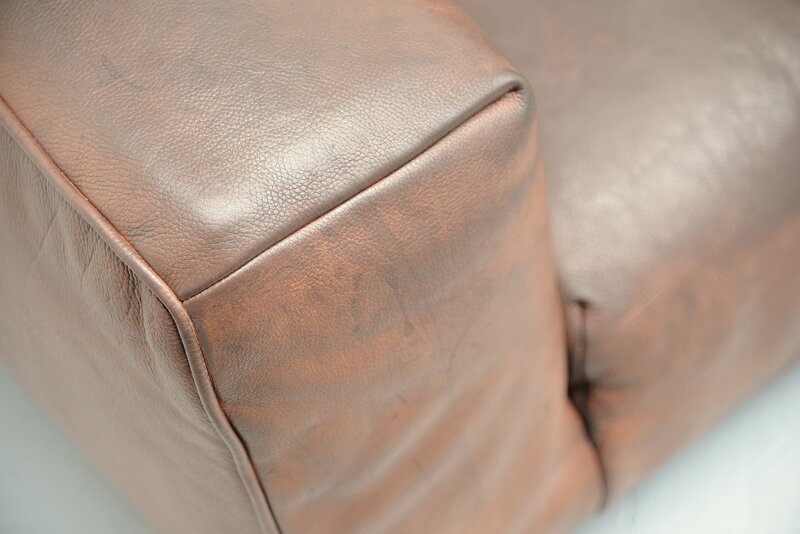 There are plastic legs underneath that are nearly invisible.